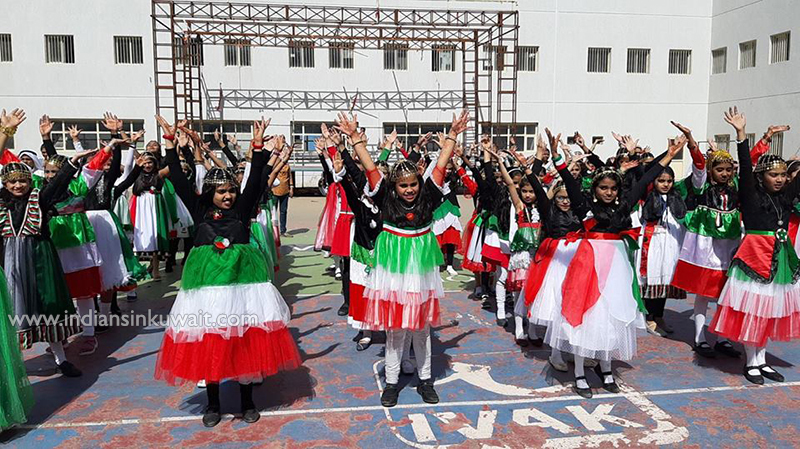 Indian Central School, Kuwait – Primary Wing celebrated Kuwait National Day and Liberation Day to allow children to reflect on the history and sovereignty of the nation they live in. The students came up in amazing outfits to represent traditional Kuwait dress and Kuwait colors. There were incredible performances such as fantastic Arabic dance, group songs, skits and video presentation depicting wonderful Kuwait. The whole programme brought memories of Kuwaiti culture and traditions in the young minds. The Vice-Principal and Supervisor briefed the children about the significance of the days. The celebration ended with high spirit and enthusiasm. We are thankful to our Principal Dr.Shantha Maria James for being a great support and inspiration at all times.